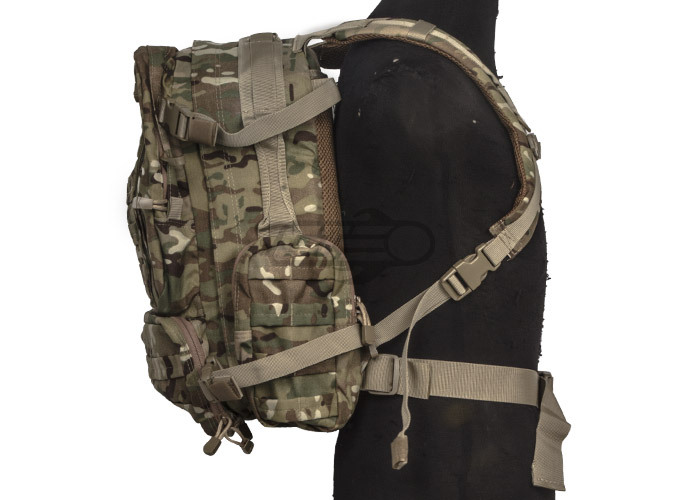 The Condor Outdoor Convoy Outdoor Backpack is essentially a scaled down version of the Condor Outdoor 3 Day Assault Pack. The Convoy Outdoor Backpack is small enough to be functional for multiple adventures and outdoor activities. All compartments feature zipper closures and metal drainage grommets. The main compartment opens in clamshell style. The Convoy pack also has a padded sleeve for tablets or 13" / 15" laptops, with two large mesh pockets for various items. 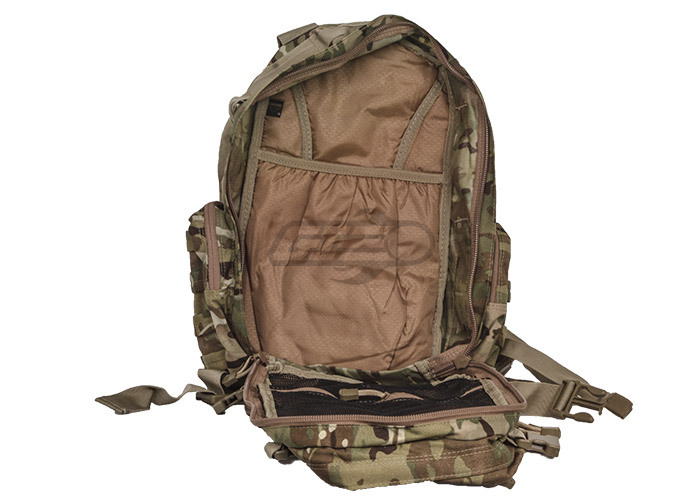 The upper front pocket features an organizer for office or camping supplies. The bottom front compartment has three mesh pockets for miscellaneous items. Two side pockets are perfect for hydration bottles. 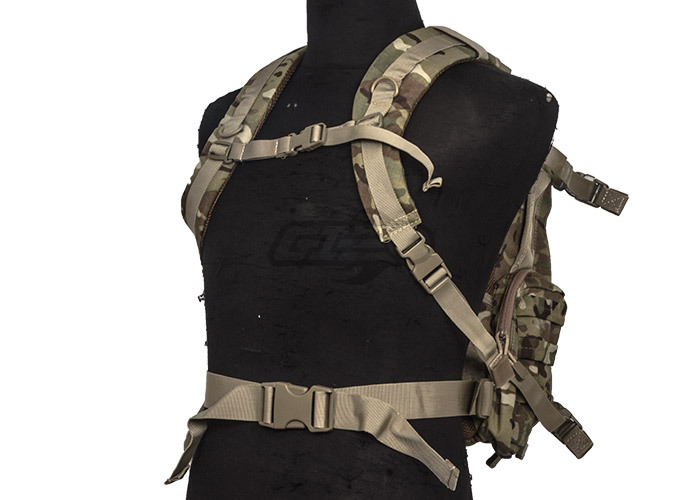 A separate hydration carrier compartment has hook & loop fasteners & closures. In addition to these compartments, the Condor Convoy Outdoor Backpack has many other features. 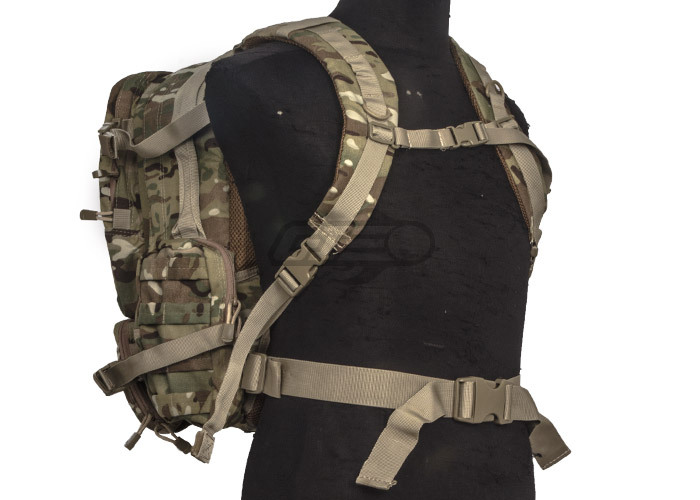 The shoulder straps are well padded, have straps for hydration tube routing, and feature a buckled sternum strap for maximum stability. Four side compression straps help keep the backpack close to your center of gravity, and thus easier to carry. 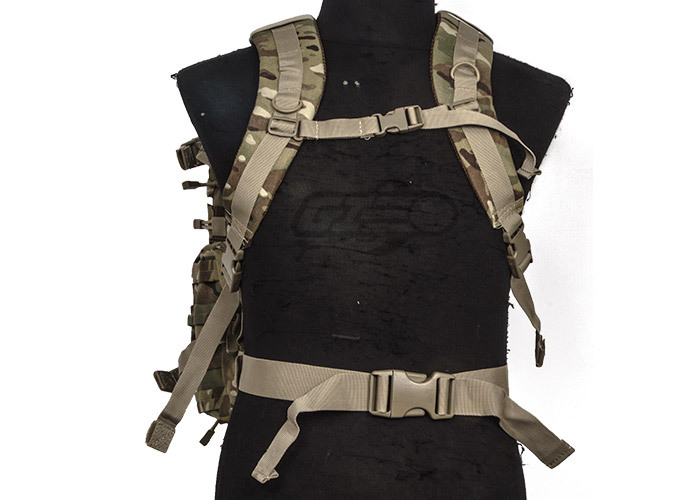 A detachable waist belt helps keep the backpack stable. 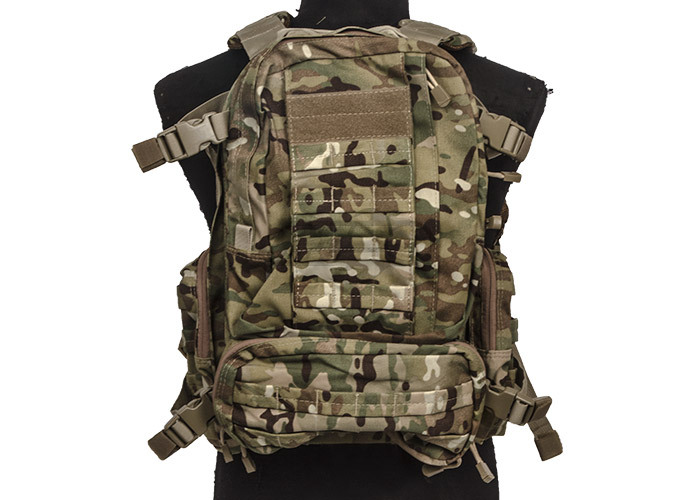 Overall, whether for hiking, camping, or airsoft, the Condor Outdoor Convoy Backpack is a great choice. 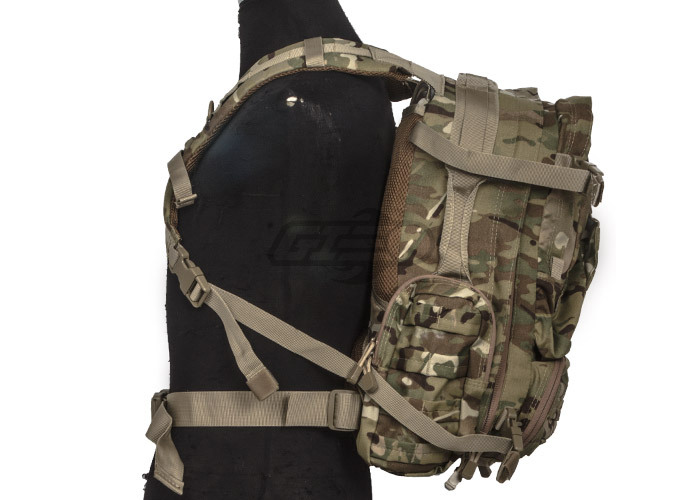 This particular backpack comes in a multicam pattern, perfect for those looking for a universal backpack that easily blends in with a multitude of environments.